Gary Giordano, the prime suspect in the murder of missing Maryland woman Robyn Gardner will be back in an Aruban court on Monday, RadarOnline.com has learned. The hearing date has been set for Monday at 10 a.m. local time, Giordano's lawyer, Michael Lopez of Lopez Law, revealed to RadarOnline.com in an e-mail on Friday. As RadarOnline.com previously reported, Lopez filed a petition on October 11 at the Court of First Instance of Aruba asking for the judge to immediately set Giordano "free from his detention or at least to postpone his detention until eventual sentence against him has been passed after trial." The Gaithersburg, Md. man suspected in the disappearance of a Frederick, Md. woman got a new high-profile defense lawyer on Thursday. NBC News was the first to learn that Chris Lejuez is the new lead attorney for Gary Giordano in Aruba. Lejuez replaces attorney Michael Lopez, who will continue to work on the case. Lejuez once defended two security guards who were suspected in the disappearance of U.S. teenager Natalee Holloway. Those guards were eventually released. ....well, well, well now ain't that special!!! Ok, IF (which I believe he's involved, jmo) he did it, this wouldn't be the first time I bet. WASHINGTON - Robyn Gardner went missing more than two months ago after traveling to Aruba with Gary Giordano. She is presumed dead, and he has been detained as a suspect since early August. Giordano, 50, called police in Aruba around 6:30 p.m. on Aug. 2 to say that he and Gardner, 35, got separated while snorkeling and she never made it back to shore. Giordano, an owner of a temporary staffing business from Gaithersburg, Md., traveled to Aruba with Gardner, from Frederick, Md., on July 31 and reported her missing two days later. He told police that she disappeared while the two were snorkeling. He initially assisted the search but was detained at the airport Aug. 5 as he tried to leave Aruba. Authorities said they found discrepancies in his story. Giordano has denied any wrongdoing through his attorney. WTOP's Del Walters has traveled to Aruba to look at how this latest missing person's case has affected the tiny Caribbean island. Aruba wants to see itself as a happy place. A warm, sunny place welcoming to tourists from across the world. But Gardner's disappearance is the second mark on the tiny island's otherwise pristine image. 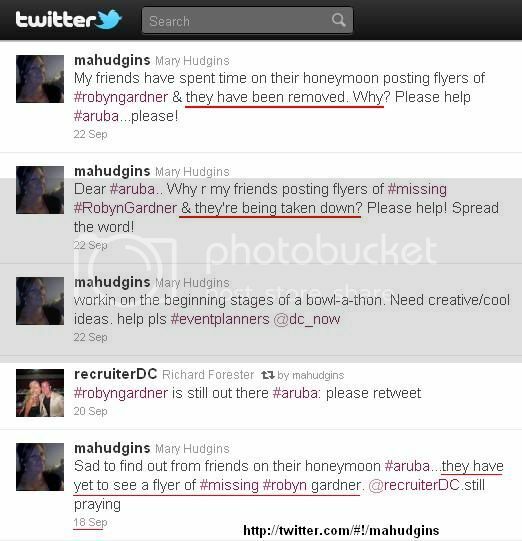 First Natalee Holloway and now Robyn Gardner. In both cases an attractive young tourist disappears, and in both cases, no one can seem to find the body. (CNN) -- A Maryland man being held in Aruba in the disappearance of an American woman there has retained criminal defense attorney Chris Lejuez, the attorney said Friday. He takes over as lead defense attorney after spending two days in lengthy meetings with Gary Giordano, 50, at the prison in Aruba where Giordano is confined, Lejuez said. Giordano, who is being held in connection with the disappearance of traveling companion Robyn Gardner, 35, was taken into custody August 5 at the airport in Aruba as he waited for a flight back to the United States. He has been held for 70 days. Giordano has maintained the pair went snorkeling behind the Nanki Country Club on the southern end of the island and that Gardner vanished in the water as he returned to shore. Authorities say Giordano was the beneficiary of a $1.5 million accidental death insurance policy on Gardner, taken out just days before their trip. Lejuez said Giordano has never changed his account of what happened; instead, it is the police who come at Giordano with different theories as to what might have happened. Even after all of their investigating, authorities "cannot prove that a crime has been committed," Lejuez said. He said that as he's being held in prison, Giordano is simply trying to "hold it together," and "feels boxed in, accused of something he did not do." At one point in their conversation, Lejuez said, his client "broke down in tears" of frustration. He will be working with Giordano's U.S.-based attorney, Jose Baez. Lejuez bristled at any suggestion of similarity between the Gardner case and the Holloway case. "You had a suspect that kept changing his story," Lejuez said of van der Sloot. "In this case, (Giordano's) story has been the same." Like most of the Caribbean Islands, Aruba depends on tourism to survive. Fritz Israel, the island's Director of Tourism, says about 70 or 80 percent of their economy comes from tourism. 1.5 million tourists visit Aruba each year. 75 percent of those tourists come from the U.S.
Aruba has changed. This was Walters's fifth trip to the island. He says there is new security where he stays, a guard watches the compound at night. There is an uneasy calm, when approached most merchants smile, and politely say no comment. One who did speak to Walters says the island was just fully recovering from the Natalee Holloway's disappearance when Gardner went missing. He says it's like Holloway's case never ended, and he just want some closure. As the world awaits answers, Aruba continues its search for a killer, while at the same time seeking to guard it's reputation and economic way of life. Well, ain't that special. These big bullying, brutes that treat women so badly, abuse them and sometimes murder them are big babies. They can dish out the pain, but they just can't take it when their crimes catch up with them. Yep, but they were both only crying for themselves. Birmingham, Ala (WIAT) First Natalee Holloway, now Robyn Gardner. Tourist dependent Aruba reels behind the headlines. There are significant differences between the 2005 disappearance of Mountain Brook teen Natalee Holloway and the 2011 disappearance of Robyn Gardner of suburban Washington. Natalee was on a graduation trip with friends and classmates from Mountain Brook High School. She was last seen leaving an Oranjestad bar with three local teens. Joran van der Sloot emerged as the prime suspect in the case. He has told a variety of stories about what happened that night...all of which have either been debunked by authorities or later denied by himself. Van der Sloot was questioned repeatedly by Aruba authorities but never charged. Many contend his late father, a local judge, exercised undue influence over the investigation. Robyn Gardner was in her thirties and travelling to Aruba with Gary Giordano...who she met online. Giordano says Gardner disappeared while they were snorkeling. He originally cooperated with local authorities but was arrested when he tried to leave the island. He's still in custody but his lawyers claim his detention has been unduly influenced by fallout from the Holloway/van der Sloot investigation. ORANGE CITY - Suspect Gary Giordano has a new lawyer yesterday, Chris Lejeuz. "I am the leading attorney in this matter and have the last word", as confirmed this morning Amigoe Lejuez. Lawyer Michael Lopez, on Monday submitted a request for immediate release or suspended detention, however, remains involved in the matter. Lejuez will not say why he is the new attorney and whether at the request of the suspect. He has at least since yesterday, counsel and the prosecution file can now see. "This is my first notice that my client much was interrogated by the police and that he could at the beginning of the interrogations a declaration and could never get deviated." Counsel further notes that the statements shows that Giordano is tired of answering questions that have already been asked and which he has answered. Lejuez Gardner compares the case with the case of missing Natalee Holloway. "The big difference between the two cases is that the suspect in Holloway always changing explanations came from Gardner and justice always comes up new theories. But I can not find the file that the declaration of my client-defeating. " Although Giordano now has a new lawyer, the lawyer requested that Lopez submitted Monday, just treated. That case is coming on Monday. Lejuez said that this request was made before he was counsel for Giordano. "That is a matter that Lopez has filed and that he will finish." Previously, even the U.S. attorney Jose Baez added to the team of lawyers who assist Giordano. American's stay away...it's not worth your family NEVER knowing what happened to you! My name is Jose Manuel Vicenzo Tromp. 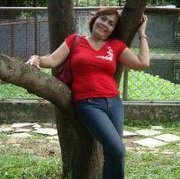 I was 30 years of age at the time of my disappearance back in 2007. Many people on the island of Aruba knows what happened to me, but I guess they are afraid to say something or maybe they do not know whom to trust with this information about my disappearance. At the time of my disappearance I was working on many projects of which the first and most important one was that I started a course, so that I can get enrolled in the University to study law. I was thinking about doing this long time ago, but then decided to just go for it. During my last days at home I was reading the book "The Color Purple" (by Alice Walker). On my bed I left the book "De roep van de Troepiaal". I did not get a chance to read this one for my Dutch exam in Jan. 2008, because someone decided to change my future without my permission. The second most important thing I was doing was building my own house, never before in my life I thought I would or could do that, but when I started, o boy I liked doing that, but I can tell you... this was hard work. Of couse I also had my daily job as a prison guard at the only jail on the island. I knew I would never stay there forever and that's why I decided to start working towards a career change. Pharlap---I think there is enough actual evidence to believe Giordana is the person responsible for Robyn's disappearance: The fight in the elevator in which he said "I'll kill you." Being the last person seen with her and witnesses say she was in a woozy state, not in condition to go snorkeling. Also, her friends say that she took pride in her appearance and she would never go in salt water and ruin her hair extensions, plus the waiter saying she obviously had spent a lot of time with her appearance and make up that afternoon. The insurance on her life for which he is the benefiiary. His reputation with women. etc. etc. etc. And I also agree there's a good chance that this is not the first time. I would never accuse anyone without evidence, but IMO there's plenty of it here. An Aruban court has denied American Gary Giordano's request to be released from jail, a spokeswoman for Aruban prosecutors said Monday. (CNN) -- A man detained in the disappearance of a Maryland woman during a vacation in Aruba will remain behind bars at least until the end of October, Aruban prosecutors said Monday. Gary Giordano was arrested by Aruban police on August 5, three days after his traveling companion Robyn Gardner was last seen on a beach on the Caribbean Island. Attorney Michael Lopez went to court Monday morning and asked for Giordano's release. Lopez argued that authorities do not have enough evidence to continue to hold the 50-year-old Maryland man, but the court did not agree. "Gary Giordano defense attorney's request for release has been denied," said Ann Angela from the Aruban prosecutor's office. Giordano's next detainment hearing is scheduled for the end of the month, Angela said.